Whether you know what Eyeliss is all about or you don’t and you want to learn about it, let me tell you that Eyeliss is just an ingredient and not a product. This means that in most circumstances you won’t be able to find pure eyeliss reviews but you can find product reviews containing eyeliss and learn a bit more from them. Eyeliss is a patented ingredient that is a combination of 3 ingredients. One is Hesperidin which comes from the citrus fruit and strengthens capillaries under the eyes, helping to prevent them from leaking, thus reducing under eye puffiness. Also, Dipeptide which improves lymphatic drainage, further reducing dark circles and under eye puffiness. Lipopeptide is another component which improves skin’s elasticity and firmness, removing fine lines and wrinkles and decreasing inflammation. What Have Clinical Trials Shown About Eyeliss? Clinical trials have proven that people who used an under eye cream containing the right amount of eyeliss, experienced improvement in bags under eyes as well as fine lines and wrinkles around the eyes while also promoting hydration in the skin eye area. Eyeliss and Haloxyl are two ingredients that are often combined in eye creams and eye serums to combat wrinkles, puffy eyes as well as dark circles under eyes. What Do Eyeliss Reviews Say? There are many eye creams and serums with eyeliss and eyeliss eye cream reviews run from exceptionally positive to somewhat negative. Some products may not contain enough Eyeliss for the ingredient to be effective. Products must contain at least 3% eyeliss for the ingredient to work its magic. Products may or may not contain other worthwhile ingredients that enhance the performance of eyeliss. The ones that contain other clinically tested ingredients may rate higher in terms of effectiveness. Users may not give the ingredient enough time to work. Eyeliss may need some time to improve the condition of that under eye area, always depending on the case, and this reflects on the users reviews, too. In other words, eyeliss as any other skin care ingredient might not probably work the same for each person. For those of you who are looking for the best eye serums and creams containing eyeliss, check for products that contain additional active ingredients which enhance the power of eyeliss. 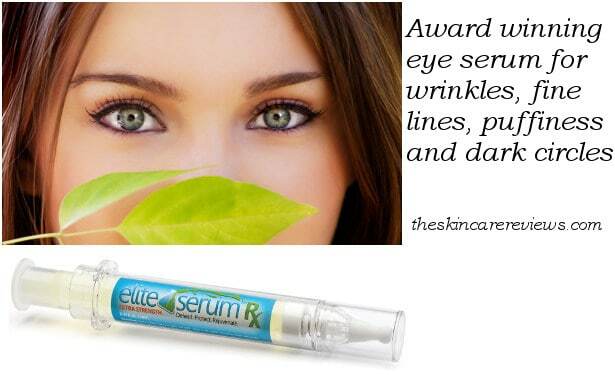 Elite Eye Serum RX (Extra Strength) has taken the award of the best eye cream for the year 2012 and the demand for it skyrocketed when Dr Oz endorsed the use of Argireline as a significant ingredient in eye serums and creams. Apart from Argireline, Elite Eye Serum RX contains a high concentration of effective peptides such as Eyeliss, SNAP-8, Matrixyl 3000, Syn-Coll and Haloxyl. This product has been tested by the Bureau Veritas which is an international leader in testing and certificating. The results have shown very positive results as to the reduction of wrinkles, dark circles and puffy eyes. User reviews are also overwhelmingly positive as to the effectiveness of this eye serum. 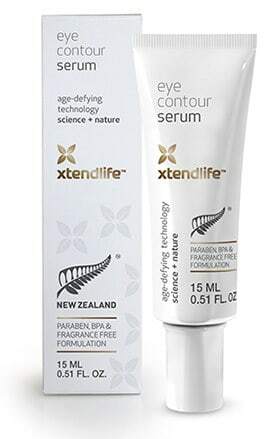 Xtend Life Eye Contour Cream with Eyeliss (previously named as serum) is made by a company in New Zealand which specializes in both natural supplements and natural skin care products. Their eye cream for women and eye cream for men has Eyeliss on the top of their ingredients. Eyeliss has been proven to improve the appearance of puffy eyes and dark circles as well as fine lines and wrinkles. Another advantage if you decide to buy Xtend Life Eye Contour Cream is that you are backed by a generous 1 year full money back guarantee which can make your purchase a lot safer. Baby Face Complete Eye Cream is the third choice here of our selection of eye creams and serums containing eyeliss. This eye cream has faithful funs who use it for fine lines, puffy eyes and dark circles with positive results. It is easily absorbed, has a fine texture and brightens the area around eyes. Its price makes it an even more attractive choice to try out for an eye cream with eyeliss. Based on clinical researches, Eyeliss is an effective ingredient to help people rid of under eye bags, wrinkles and fine lines. It also improves the moist levels of the eye skin area. Still, you have to be careful which eye product with eyeliss to trust because there will be many which won’t provide you with the desirable results.